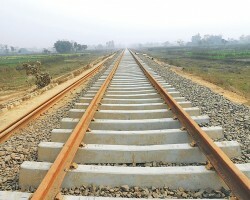 APA-Addis Ababa (Ethiopia) — An event to kick start solid arrangements for the innovative financing of railway vehicles that would ply the African Integrated High Speed Railway Network, one of the African Union’s Agenda 2063’s flagship infrastructure programs in Marrakech, Morocco on Saturday March 23. 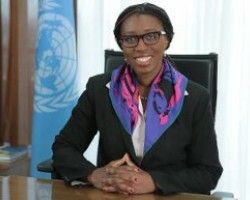 APA-Addis Ababa (Ethiopia) — The ability to increase revenue collection is significant to Africa’s capacity to finance its development, in particular Agendas 2030 and 2063, according to Economic Commission Economic for Africa (ECA). 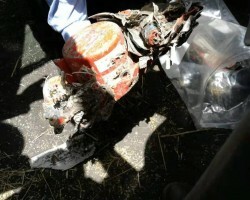 APA-Addis Ababa (Ethiopia) — The Flight Data Recorder (FDR) and Cockpit Voice Recorder (CVR) which were recovered from the crash site of Ethiopian Airlines flight 302 earlier this week, have been taken to Paris, France for further analysis. 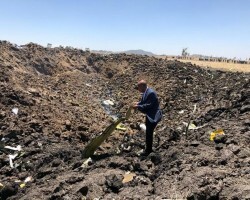 Ethiopia: Ill-fated plane’s black box "recovered"
APA-Addis Ababa (Ethiopia) — Ethiopian state media has tweeted that the black box recorder of the ill-fated plane which crashed at a farmland outside Addis Ababa on Sunday has been recovered from the crash site. APA-Addis Ababa (Ethiopia) — Ethiopia Airlines has announced it is grounding all its B-737-8 MAX fleet until further notice in the aftermath of Sunday’s aviation disaster involving a plane of the same make. 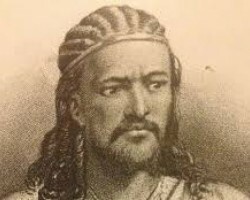 APA-Addis Ababa (Ethiopia) — A combination of shock and anguish has descended upon Ethiopia since news of Sunday’s plane disaster which killed 157 people.